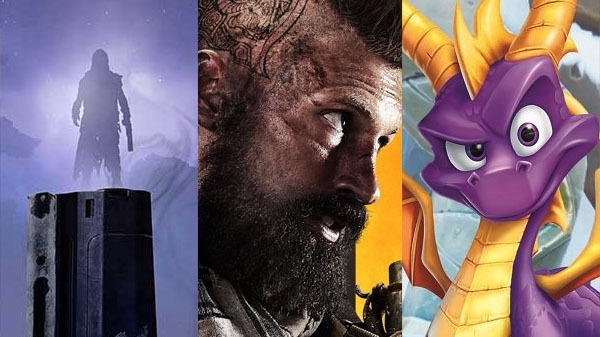 Black Ops IIII, Destiny 2: Forsaken, and Spyro Reignited Trilogy playable. Activision has announced the lineup of games it is bringing to E3 2018 in Los Angeles from June 12 to 14. The Crash Bandicoot N. Sane Trilogy news mentioned in the press release is likely the new “Future Tense” bonus level earlier this week. The series which has become the most played in Call of Duty history as well as a cultural phenomenon around the globe returns October 12th with the release of Call of Duty: Black Ops IIII, a gritty, grounded, all-out combat experience. Black Ops IIII raises the bar for Multiplayer mode that increases tactical gameplay and player choice, along with the biggest Zombies offering ever with three full experiences at launch, and Blackout, where the Black Ops universe comes to life in a massive battle royale experience featuring iconic characters and locations from all four Black Ops games in a one-of-a-kind offering that is uniquely Black Ops. Call of Duty: Black Ops IIII transforms the established universe played by hundreds of millions of fans with the largest gameplay experience ever created in the series. Call of Duty: Black Ops IIII is published by Activision and developed by Treyarch with additional development support from Raven Software and PC development with Beenox. The title is scheduled for release on PlayStation 4, Xbox One and PC on October 12. Fans can pre-order now and get access to the Call of Duty: Black Ops IIII Private Beta*. Black Ops IIII for the PC delivers a fully-optimized experience, which for the first time in Call of Duty’s history will be available exclusively on Battle.net, Blizzard Entertainment’s online gaming service. Destiny 2: Forsaken will be available for download on PlayStation 4, the Xbox One family of devices including Xbox One X, and PC. The PC version of the expansion will also be available exclusively on Battle.net, Blizzard Entertainment’s acclaimed online-gaming platform. The Spyro Reignited Trilogy launches on September 21 and is available for preorder now for the suggested retail price of $39.99 on PlayStation 4, PlayStation 4 Pro and the family of Xbox One devices from Microsoft, including the Xbox One X! Spyro Reignited Trilogy introduces players to a fully remastered game collection of the three original Spyro games that started the phenomenon: Spyro the Dragon, Spyro 2: Ripto’s Rage!, and Spyro: Year of the Dragon.